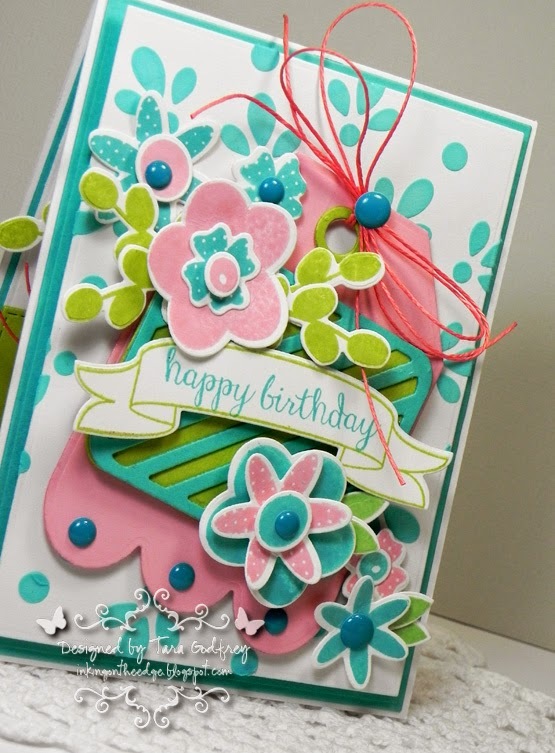 Inking on the Edge: Reverse Confetti...July Colour Challenge...Happy Birthday! 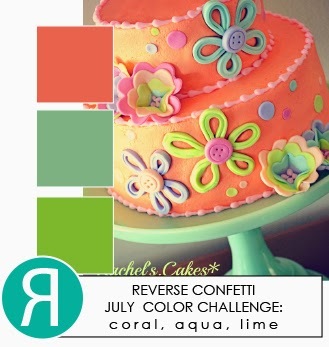 Reverse Confetti...July Colour Challenge...Happy Birthday! Hello stampin' friends! My package of new Reverse Confetti stamps and Confetti Cuts from the July release arrived! New stash is always the perfect reason to make a card and The Reverse Confetti July Color Challenge is such a great combo this month; another great reason to get crafty!!! 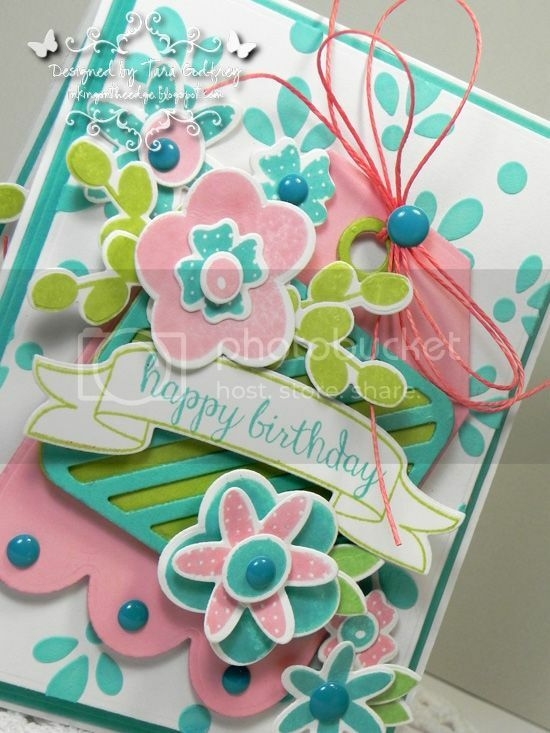 As I said, the Reverse Confetti July Color Challenge is a such a pretty color palette but I also drew inspiration for this birthday card from the great inspirational photo of the funky cake and fun icing flowers. To make my version of some "icing" flowers I pulled out my Liquitex Light Modeling Paste and mixed it with Peacock Feathers Distress ink on my non-stick craft sheet with a palette knife and used the MFT Delicate Doily Stencil. 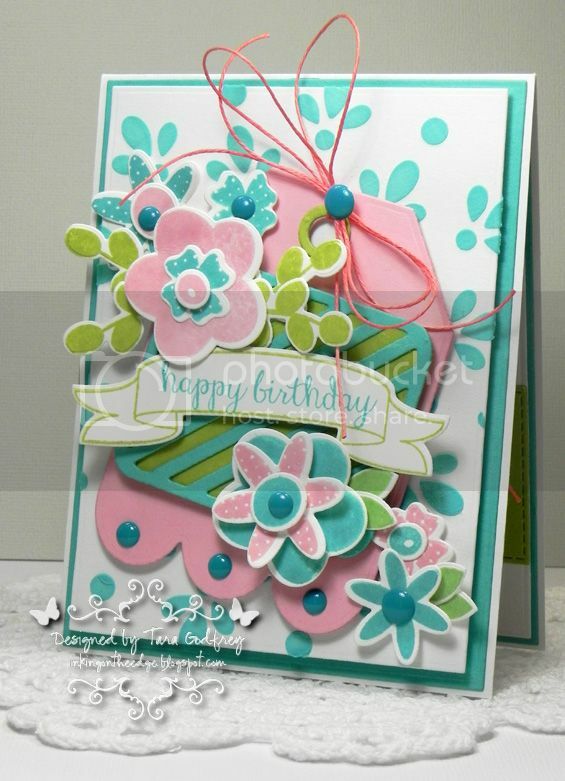 I used the Reverse Confetti Petals n' Posies Stamp Set and Petals 'n Posies Confetti Cuts to make all the pretty flowers layered over the new Tag Me, Too Confetti Cuts. I also used the new Diagonal Stripe Pretty Panels Confetti Cuts and stamped a sentiment with the Beautiful Banners Stamp set and Beautiful Banners Confetti Cuts. I finished off the inside of the card too, as always! I used the Love Notes Confetti Cuts, Class Act Confetti Cuts and layered over the new Diagonal Stripe Pretty Panels Confetti Cuts. 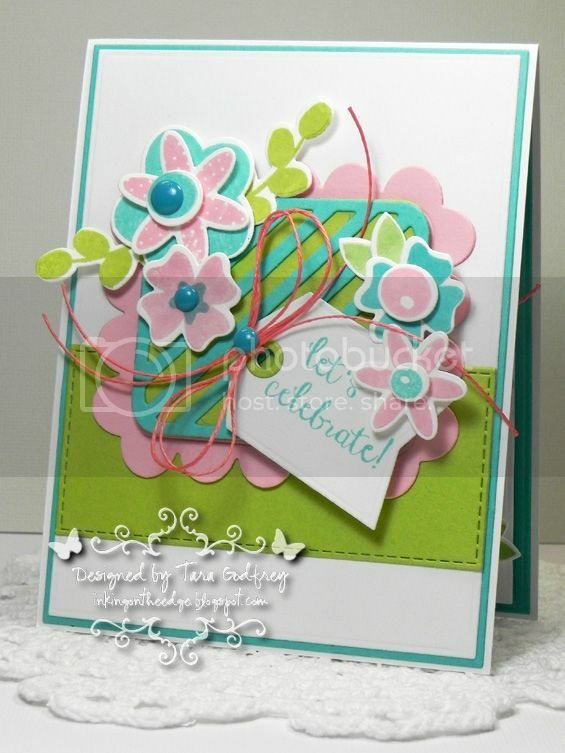 I had to add a few more Petals 'n Posies and stamped another sentiment from the Beautiful Banners Stamp set on the the small tag from the Tag Me Confetti Cuts. 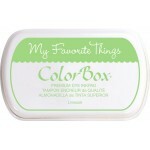 Thanks for swingin' by and havin' a little look at my card for the Reverse Confetti July Color Challenge! Wow!! What is not to love about your creation - gorgeous!!!! Love all the layers. Love the colour combination! Cute card~!